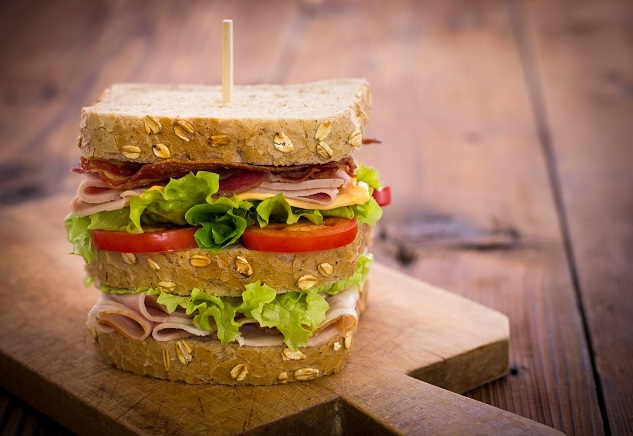 Taking your lunch to work not only will help from putting on extra weight, but can also help you save money. According to surveys taken on the subject of how much money a working employee spends on lunch every day is close to $2,000 per year, and that doesn’t include the Breve you grab on the way to work. Let’s save the money for that European trip you always wanted to take or any other destination that may be in your bucket list, and make some awesome sandwiches to pack to work. 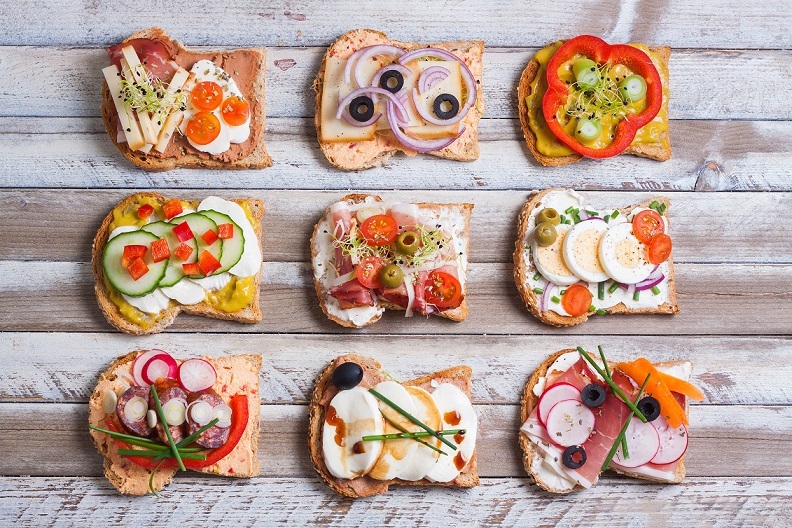 If you have been procrastinating about eating healthy, will now is the time to stop postponing or lingering, and get into the kitchen and make yourself a healthier lunch. Were do we start? How about with some 100% whole grain bread. We think Killer Dave’s Bread is a good loaf of bread to grab a couple of slices from the bag (purchase 2 loaves at your local Costco for around $7.00). You can also visit your local Whole Foods Market or an equivalent store, to see what they have to offer in their bakery and bread section. 100% whole grain bread has less fast acting carbohydrates, and will not spike your blood sugar, or case weight gain. Why? Because whole grain bread contains it’s fiber intact, and fiber slows digestion, a fording your body to make full use of the nutrients, which means longer sustained energy, no sugar spikes, and no dozing off after lunch. Bringing your own lunch to work can assure that you get your 5 servings of produce everyday. Don’t be afraid to layer that sandwich with lettuce, tomatoes, peppers, cucumbers, and much more. But , if you really like bread, meat and cheese only, toss those vegetables in a bowl, and say hello to side salad! On the side or on top, either way you get your 5 servings of fruits and vegetables. You need some fat in your diet. Fat protects your brain cells, and your employer will like that, because your thinking process will help give it your all. 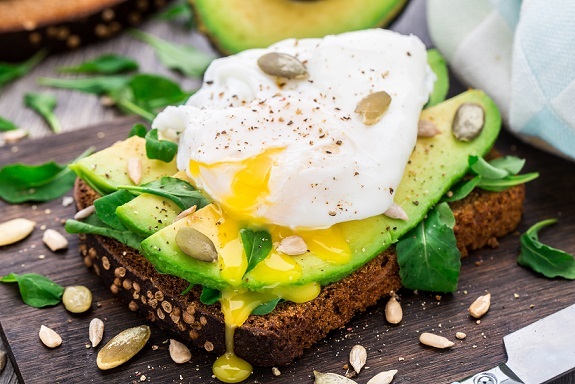 Some good fats can include a fried egg or slices of avocado, or a drizzle of olive oil, some full fat Greek yogurt, and even nut butters, like fresh ground almond butter. If you like your meat, buy deli meats that are fermented without nitrates. Nitrates can play havoc on your digestion, and could contribute to cancer. Processed meats are manufactured using sodium nitrite. During the process of cooking certain meats, sodium nitrites combine with naturally present amines in the meat to form carcinogenic N-nitroso compounds. When ingested, these compounds are associated with cancer, according to a study done at by the Cancer Research Center of Hawaii and the University of Southern California (Cancer Center Treatments of America). But purchasing fermented meats that only use salt in the process does not have the same reaction. Your local Whole Foods Market or an equivalent store will have naturally processed fermented meats. Don’t forget to add some herbs and spices to your sandwich. Be creative and have some fun with your new found healthy habit. This entry was posted in Reviews - Kitchen Utensils - Cooking - Food and tagged 5 a day, Alzheimer's disease, Brain, Brain cell, fresh fruits and vegetables, good fats, Greek yogurt, healthy lunch, Lunch, nitrates, processed meats, Produce, Protein, University of Southern California, Whole Foods Market, whole grain bread. Bookmark the permalink. Thanks Jackie. I was so happy the first time I bought fermented meat at Whole Foods Market. The fermentation is natural, still gas good bacteria and has no unhealthy reactions to your body. Thanks Jackie for stopping by and leaving your thoughts as well. I hope you have a great weekend! Most foodies will fix up the food before a picture as well as lighting. Just like at McDonalds or other restaurant the food in the pic is different looking when in your hand. Though it taste good and it all mixes up inside any ways. The sandwich doesn’t have to look like what’s in the picture (picture perfect) no the sandwich will look and taste the way YOU want it too. So no more negative talk Roger and get in the kitchen and make a healthy sandwich and start a healthy habit :). And if that doesn’t work then the naked chef orders you. LOL. 😃 sorry being to harsh. Hey thanks Roger for coming by and leaving your thoughts. Have a great weekend ahead. By the way, how did last weekend go for you and Aaron?